I have long, indeed for years, played with the idea of setting out the sphere of life—bios—graphically on a map. First i envisaged an ordinary map, but now I would incline to a general staff’s map of a city center, if such a thing existed. Doubtless it does not, because of ignorance of the theater of future wars. I have evolved a system of signs, and on the gray background of such maps they would make a colorful show if I clearly marked in the houses of my friends and girl friends, the assembly halls of various collectives, from the “debating chambers” of the Youth Movement to the gathering places of the Communist youth, the room and brothel rooms that I knew for one night, the decisive benches in the Tiergarten, the ways to different schools and the graves that I saw filled, the sites of prestigious cafés whose long-forgotten names daily crossed our lips, the tennis courts where empty apartment blocks stand today, and the halls emblazoned with gold and stucco that the terrors of dancing classes made almost the equal of gymnasiums. And even without this map, I still have the encouragement provided by an illustrious precursor, the Frenchman Léon Daudet, exemplary at least in the title of his work, which exactly encompasses the best that I might achieve here: Paris vécu. “Lived Berlin” does not sound so good but is as real. …In that Empire, the craft of Cartography attained such Perfection that the Map of a Single province covered the space of an entire City, and the Map of the Empire itself an entire Province. In the course of Time, these Extensive maps were found somehow wanting, and so the College of Cartographers evolved a Map of the Empire that was of the same Scale as the Empire and that coincided with it point for point. Less attentive to the Study of Cartography, succeeding Generations came to judge a map of such Magnitude cumbersome, and, not without Irreverence, they abandoned it to the Rigours of sun and Rain. In the western Deserts, tattered Fragments of the Map are still to be found, Sheltering an occasional Beast or beggar; in the whole Nation, no other relic is left of the Discipline of Geography. Paris has taught me this art of straying; it fulfilled a dream that had shown its first traces in the labyrinths on the blotting pages of my school exercise books. Not is it to be denied that I penetrated to its innermost place, the Minotaur’s chamber, with the only difference being that this mythological monster had three heads: those of the occupants of the small brothel on rue de la Harpe, in which, summoning my last reserves of strength (and not entirely without an Ariadne’s thread), I set my foot. ps. one of my favorite borges labyrinths, the house of asterion, available here in english and spanish. Benjamin, Walter. “A Berlin Chronicle,” in Reflections : essays, aphorisms, autobiographical writings. 1st ed. New York: Harcourt Brace Jovanovich, 1978, p. 5. First published under the name B. Lynch Davis, Los Anales de Buenos Aires, año 1, no. 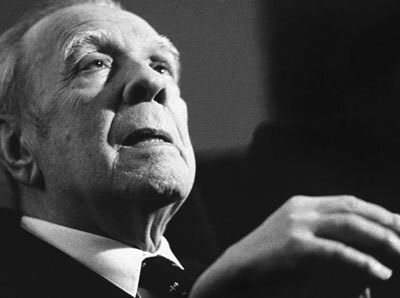 3 (Marzo 1946) and later in Borges, Historia Universal de la Infamia (1946). English translation quoted from J. L. Borges, A Universal History of Infamy, Penguin Books, London, 1975. Benjamin, Walter. “A Berlin Chronicle,” in Reflections : essays, aphorisms, autobiographical writings. 1st ed. New York: Harcourt Brace Jovanovich, 1978, p. 9.